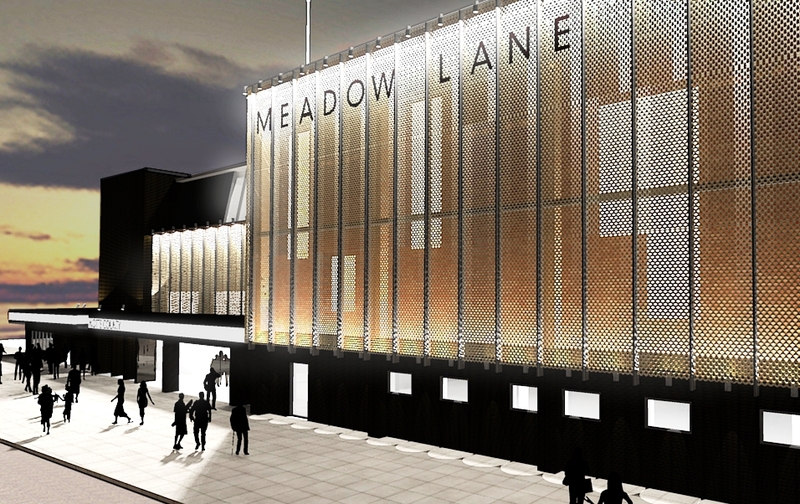 Williams-Architects were commissioned in 2011 to design and coordinate the refurbishment of the Haydn Green Family Stand at the Meadow Lane Stadium, the home of Notts County Football Club. The existing stand, built in the early 1990's, does not reflect the club's aspirations. 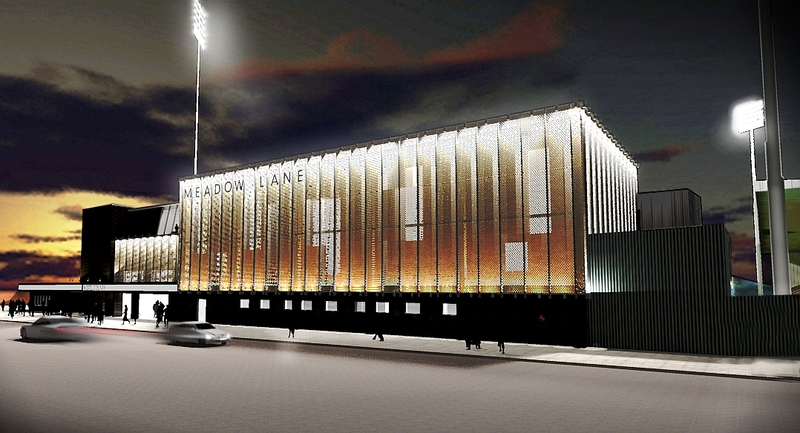 The club asked us to look at ways of renovating the façade to create a fitting gateway to the ground, and to its executive facilities housed within the stand. Our scheme opens up the frontage, with new areas of glazing and shop fronts. The whole façade will be over-clad to give a more coherent and dramatic composition.